It was a perfect weekend for a trip to the Outer Banks. We invited our friends, Wayne and Jimmie to join us. 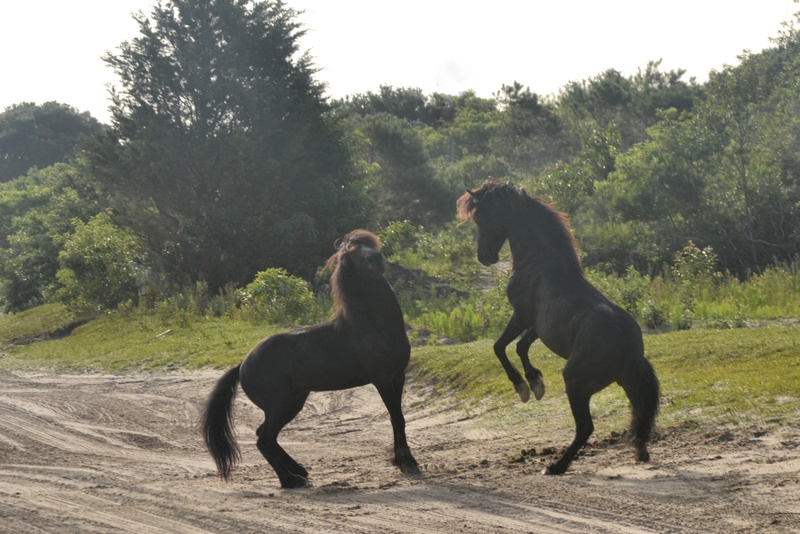 (You met them when I wrote about our trip to see the Gypsy horses a few weeks ago). 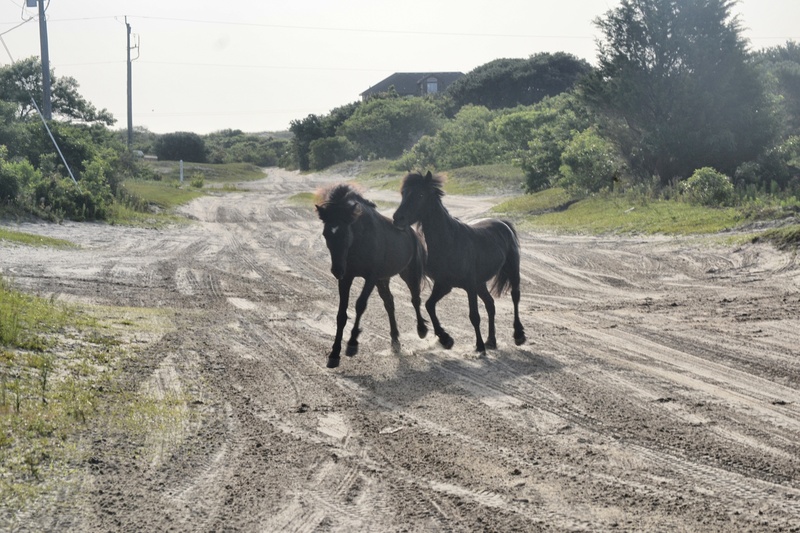 I must say the wild horses at the beach were feeling quite frisky this weekend. I’ll be sharing more photos over the next few days, but today, I’ll concentrate on this little incident. Jimmie is much more of a horse person than I am; she’s actually owned horses, not just admired them from afar. 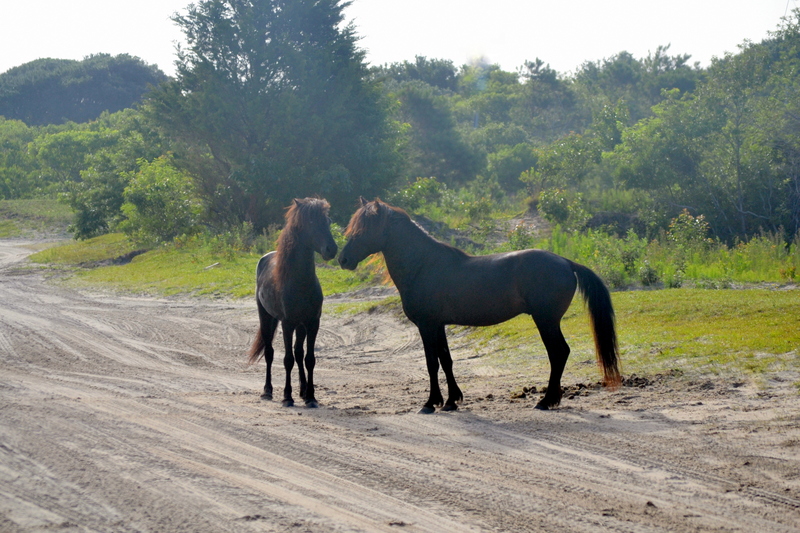 But we couldn’t tell if these were two stallions, or a stallion and a mare. 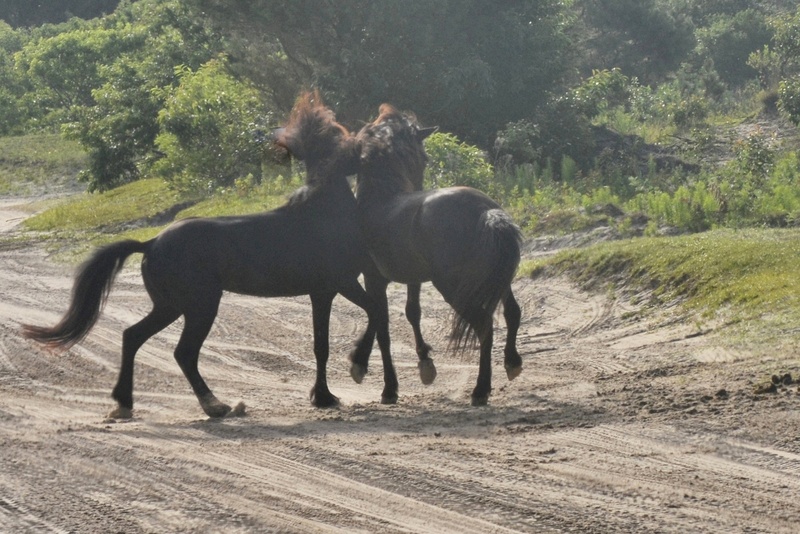 They were either having some spirited horseplay or a rather serious disagreement. 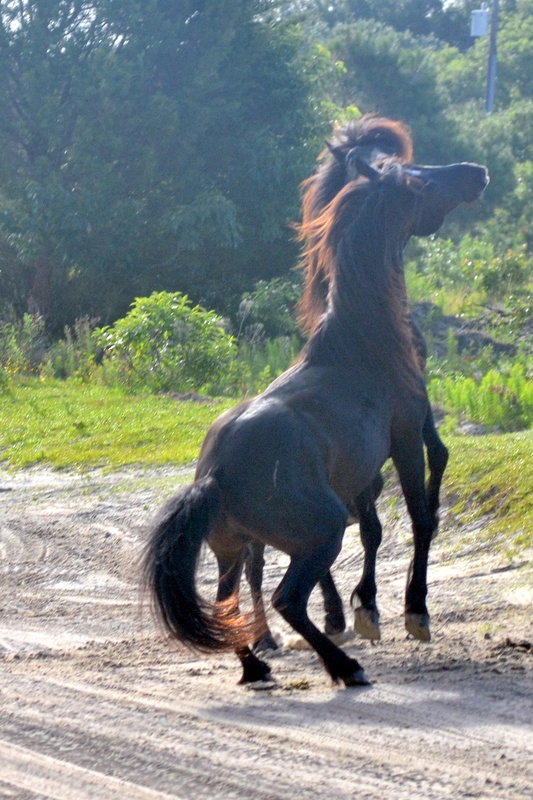 This has to be near the top of the list of my favorite wild horse photos. 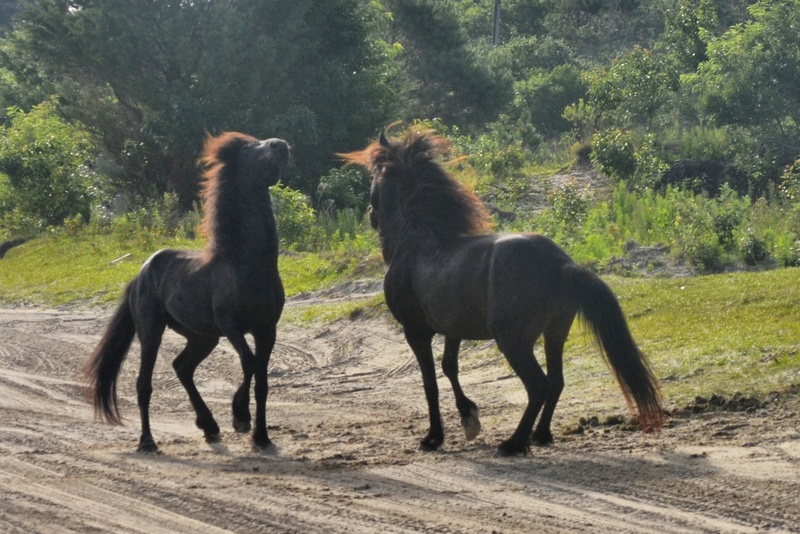 When I uploaded my pictures and saw this one, I thought of those gorgeous Friesians. And this reminds me of male athletes when they “bump shoulders” (sorry I don’t know the official term for that). Motor Man had stopped our Jeep quite a distance from the horses. (I was using a long lens to take the pictures; that’s why the lighting is a bit off.) 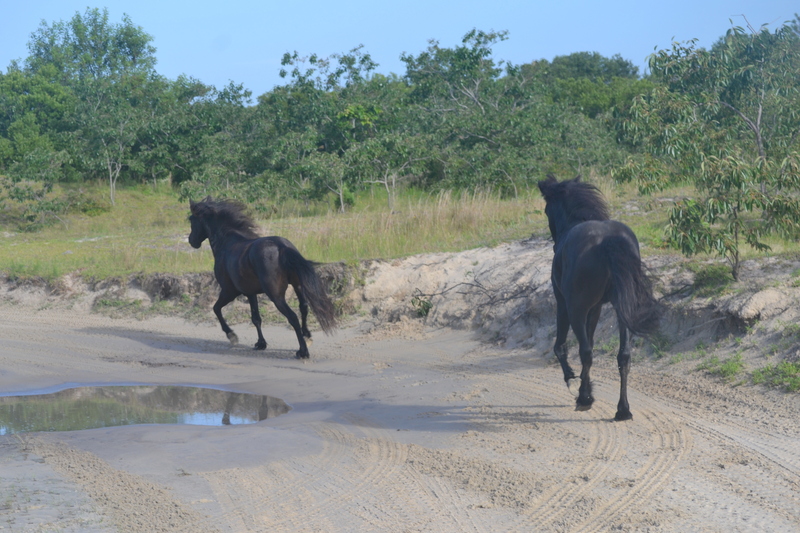 Suddenly they began running right toward us. I was standing behind the door of the Jeep, so I was protected. When they started our way, we didn’t have time to move from where we were parked. But not before putting on quite the show.